Publication: Fl. Amer. Sept. 1: 164. Notes: FNA8: "Ribes aureum was introduced into cultivation in Europe early in the nineteenth century (F. V. Coville 1903). It is a major host of pinyon blister rust in Arizona, Colorado, and Utah, and of pinyon leaf rust in New Mexico (E. P. Van Arsdel and B. W. Geils 2004). Ribes aureum is a variable complex and the varieties may seem to intergrade. In California, var. 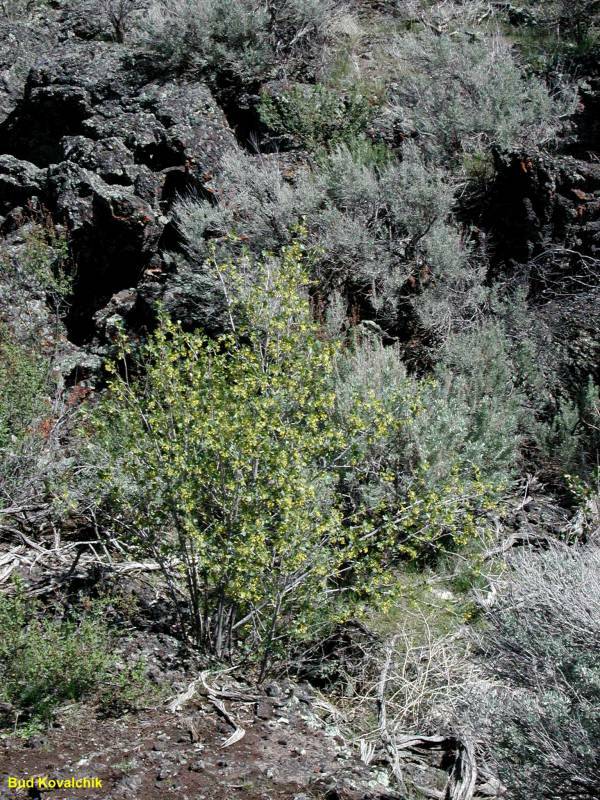 aureum occurs in sagebrush scrub or coniferous forests at higher elevations (800-2600 m) than var. gracillimum; the sepals of var. aureum are longer than those of var. gracillimum (5-8 mm versus 3-4 mm), and its hypanthium is noticeably shorter relative to the sepals. Leaves of var. aureum are more highly lobed and are sparsely glandular in the Pacific Northwest and less lobed and more densely glandular in the southwest (H. D. Hammond, pers. comm.). In most of its range, var. villosum is so conspicuously villous as to be unmistakable; in the west some plants with strikingly long hypanthia are scarcely villous."